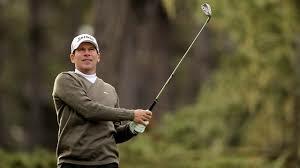 Former US pro golfer John Huston won seven PGA Tour events and had more than 80 top 10 finishes in his career. At the 1998 Hawaiian Open he broke a 53-year-old record for 72-hole scoring by shooting 260, a 28-under-par performance. Huston attributed his record-breaking score to magnets that he placed in his shoes and in the cover of his mattress. In a 2001 interview with golf journalist Bob Warters, Huston said: "I have used magnets as treatment for my injured shoulder since 1997. After playing I get a huge amount of relief from sleeping on the magnetic bed so I take it with me everywhere. 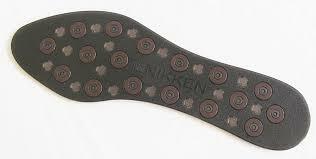 The magnetic insoles in my shoes also help to keep my joints supple during my round". Apparently some reports suggest 90% of pro golfers use magnets amongst them Jack Nicklaus, Scott Hoch, Paul Azinger, Tiger Woods, Greg Norman, Fred Couples and Jesper Parnevik. "The results were remarkable. My usual post-round habit is to head straight for the bar. I then pay the consequences as I struggle to get out of my seat not through the volume of alcohol, I hasten to add, just the weariness of my limbs. Not this time. While not exactly dancing on the tables I felt fresher than I had ever felt after a round of golf and was even able to assist in the garden. Almost unheard of in this household after a round of golf. "The Kenko Insoles, apparently gently massage your feet as you walk while tiny nodules stimulate and relax them at the same time. At £40 a pair they may appear expensive but to engender relief and give you the staying power and extra concentration to complete 18 holes, it's money well spent and worth the value of an extra club in your bag. "Other magnetic products in the Nikken range include knee, elbow, thigh, wrist, ankle, neck and back supports from £20. I can't speak for the rest of the range but to relieve aching feet I can recommend the insoles." The lastest model of the Insoles are the mStrides pictured below.